AND IT IS THE BEST! The Wolf thought he heard them coming. He was hungry and he raised up his head to see if he could see them. The Goat saw him raise his head, and she turned and ran back to her cave. “Why did you raise your head when you were pretending to be dead?” the Wolf asked her mate. He had no good answer. By and by the Wolves were both so very hungry that the  Wolf asked his mate to try once more to catch the Goat. Here are some Dhamma quotes and guides to assist us in our search for the handful of leaves that has the afficacy to result in release in this very life time, at this very present moment. May you be well, happy & peacefully still. “Inconceivable, bhikkhus, is the beginning of this samsara. – this or the water in the four great oceans? dry up, vanish and be no more. be devoured by fire, perish and be no more. Seeking, but not finding the builder of this house. “O house-builder! You are seen. All your rafters are broken. “My mind has attained the unconditioned. These ten fetters have been our master since the beginning of samsara. When the first three are shattered, the Stream Entry is attained. Release is assured at the most 7 rebirths. “It’s likewise a sheer coincidence that one obtains the human state. rightly self-awakened, arises in the world. “Now, this human state has been obtained. A Tathagata, worthy & rightly self-awakened, has arisen in the world. Who knows by tomorrow, one may still be living or dead. One should incessantly exert right away on this very day. True happiness consists in eliminating the false idea of ‘I’. Pay no attention to the faults of others, things done or left undone. there no sun, moon nor star ever shines. There is neither any light, yet nor is there any darkness ! He should not kill a living being, nor cause it to be killed, nor should he incite another to kill. Do not injure any being, either strong or weak in the world. “Monks, even if bandits were to savagely sever you, limb by limb, with a double-handled saw, even then, whoever of you harbors ill will at heart would not be upholding my Teaching. Anger will disappear just as soon as thoughts of resentment are forgotten [cease]. without obstruction, without enmity, without rivalry. This, they say, is the holy state here. but knowing how to be forbearing alone makes one victorious. To end a friendship is to end wealth. Solitude is happiness for one who is content, who has heard the Dhamma and clearly sees. Non-affliction is happiness in the world - harmlessness towards all living beings. These teachings are like a raft, to be abandoned once you have crossed the flood. How much more so should you abandon bad states of mind! “Always frightened is this Mind! Always troubled is this Mind! Always agitated is this Mind! because a sluggish mind can hardly be aroused by them. because a sluggish mind can easily be aroused by them. because an agitated mind can hardly be quietened by them. because an agitated mind can easily be quietened by them. Form (Body) is the world condition. And with form goes feeling, perception, consciousness, and all the activities throughout the world. The arising of form and the ceasing of form–everything that has been heard, sensed, and known, sought after and reached by the mind–all this is the embodied world, to be penetrated and realized. “Form, monks, is not self (anatta). a bhikkhu understands (pajànàti) a consciousness associated with lustas a consciousness associated with lust……………………………………. a consciousness associated with hatred………………………………..
a consciousness dissociated from hatred……………………………. a consciousness associated with delusion……………………………..
a consciousness dissociated from delusion……………………………..
he abides contemplating consciousness as consciousness both internally and externally. “And what is dependent co-arising? From birth as a requisite condition, then aging & death, sorrow,lamentation, pain, distress, & despair come into play. And what is dependent cessation? With the complete cessation of ignorance fabrications cease. With the cessation of fabrications consciousness ceases. With the cessation of consciousness mind and body cease. With the cessation of mind and body the six sense bases cease. With the cessation of the six sense bases contact ceases. With the cessation of contact feeling ceases. With the cessation of feeling craving ceases. With the cessation of craving clinging ceases. With the cessation of clinging becoming ceases. With the cessation of becoming birth ceases. With the cessation of birth, ageing, death, sorrow, lamentation, physical pain, mental pain, and anguish cease. Such is the cessation of this entire mass of stress & suffering. Bhikkhus, Mindfulness with Breathing (Anapanasati) that one has developed and make much of has great fruit and great benefit. For this reason, should anyone wish “may my body be not stressed, may my eyes be not strained, may my mind be released from the asava through non-attachment,” then that person ought to attend carefully in his heart to this Mindfulness with Breathing meditation. when developed and practised much, is both peaceful and sublime. it banishes and stills evil unwholesome thoughts as soon as they arise. “And how is mindfulness of in-&-out breathing developed & pursued so as to bring the four frames of reference to their culmination? “And how are the seven factors for awakening developed & pursued so as to bring clear knowing & release to their culmination? The Buddha said that one who indulges in the pleasures of Jhana may expect only one of four consequences: Stream Winning, Once-returner, Non-returner, or Full Enlightenment! In other words, indulging in Jhana leads only to the four stages of Enlightenment. ” … And as I remained thus heedful, ardent, & resolute, thinking imbued with renunciation / non-ill will / harmlessness arose. I discerned that ‘Thinking imbued with renunciation / non-ill will / harmlessness has arisen in me; and that leads neither to my own affliction, nor to the affliction of others, nor to the affliction of both. It fosters discernment, promotes lack of vexation, & leads to Unbinding. If I were to think & ponder in line with that even for a night… even for a day… even for a day & night, I do not envision any danger that would come from it, except that thinking & pondering a long time would tire the body. When the body is tired, the mind is disturbed; and a disturbed mind is far from concentration.’ So I steadied my mind right within, settled, unified, & concentrated it. Why is that? So that my mind would not be disturbed. Nothing happens immediately, so in the beginning we can’t see any results from our practice. In our practice we see this desire as either sensual indulgence or self-mortification. It’s in this very conflict that our Teacher, the Buddha, was caught up, just this dilemma. He followed many ways of practice which merely ended up in these two extremes. And these days we are exactly the same. We are still afflicted by this duality, and because of it we keep falling from the Way. “The heart of the path is quite easy. There’s no need to explain anything at length. Let go of love and hate and let things be. “We practice to learn how to let go, not how to increase our holding on to things. “You are your own teacher. Looking for teachers can’t solve your own doubts. Investigate yourself to find the truth - inside, not outside. “Our birth and death are just one thing. You can’t have one without the other. It’s a little funny to see how at a death people are so tearful and sad, and at a birth how happy and delighted. It’s delusion. I think if you really want to cry, then it would be better to do so when someone’s born.Cry at the root, for if there were no birth, there would be no death. All things are just as they are. They don’t cause suffering to anybody. It’s just like a thorn, a really sharp thorn. Does it make you suffer? No, it’s just a thorn. It doesn’t bother anybody. But if you go and stand on it, you’ll suffer. Why is there suffering? Because you stepped on the thorn. The thorn is just minding its own business. It doesn’t harm anybody. It’s because of we ourselves that there is pain. Form, feeling, perception, volition, consciousness … all things in this world are simply as they are. It’s we who pick fights with them. And if we hit them, they hit us back. If they’re left alone, they won’t bother anybody. Only the drunkard gives them trouble. If those who have studied the theory hang on to what they have learnt when they sit in meditation, taking notes on their experience and wondering whether they have reached jhanayet, their minds will be distracted right there and turn away from the meditation. They won’t gain real understanding. it won’t develop because the mind withdraws. If I’d wanted to stop formal practice, was there any laziness, tiredness or irritation? None at all.The mind was completely free from such defilements. What was left was the sense of complete balance or ‘just-rightness’ in the mind. If I was going to stop, it would just have been to rest the body, not for anything else. If you experience different kinds of nimitta during meditation, such as visions of heavenly beings, before anything else it’s important to observe the state of mind very closely. Don’t forget this basic principle. The mind has to be calm for you to experience these things. Be careful not to practice with desire either to experience nimitta or not to experience them. If they arise, contemplate them and don’t let them delude you. Reflect that they are not you and they don’t belong to you. They are aniccam, dukkham, anatta, just like all other mind-objects. If you do experience them, don’t let your mind become too interested or dwell on them. If they don’t disappear by themselves, reestablish mindfulness. Put all your attention on the breath, taking a few extra deep breaths. If you take at least three extra-long breaths you should be able to cut out the nimitta. You must keep reestablishing awareness in this way as you continue to practice. Looking for peace is like looking for a turtle with a mustache: You won’t be able to find it. But when your heart is ready, peace will come looking for you. the other is the peace that comes through paññå. The mind that is peaceful through samådhi is still deluded. the mind being separated from mind-objects. And whenever there is birth, there is suffering. Whenever there arises the idea “I,” “mine,” at that time the cycle of Samsara has come into existence in the mind, and there is suffering, burning, spinning on, … When no such idea arises, there is no birth, and this freedom from birth is a state of coolness … And whenever there is freedom from defects of these kinds, there is Nirvana. When you are sitting in meditation and a mosquito bites you, you develop an evil emotion. How can you get rid of it? The way to drive it away is to improve the breath. Make it long, make it fine, make it chase that wicked emotion away. This is the best way to solve the problems. Calming the Breath (the body -conditioner) to calm the body. 5. selecting one of these images and contemplating it in a most concentrated way until the breath becomes truly calm and peaceful. Calming the Vedana (mind-conditioners) to calm the mind. Piti and Sukha are mind-conditioners. The vedana have the highest power and influence over human beings, over all living things. If we know how the thoughts are, we will know how the mind is. If the mind has correct samadhi, we will observe three distinct qualities in it. 1. samahito (stableness), 2. parisuddho (pureness), and 3. kammaniyo (activeness). If we say that the mind has attained or realized emptiness it leads some people to understand that the mind is one thing and emptiness another. To say that the mind comes to know emptiness is still not particularly correct. Please understand that if the mind was not one and the same thing as emptiness, there would be no way for emptiness to be known. If one is to understand those things called dhatu well enough to understand the Dhamma they must be studied in this way. Don’t be deceived into thinking that knowing the elements of earth, water, wind and fire is sufficient, they are a matter for children. Those elements were spoken of and taught before the time of the Buddha. One must go on to know vinnanadhatu, the immaterial consciousness-element, akasadhatu, the space element and sunnatadhatu, the emptiness-element that is the utter extinction of earth, water, fire, wind, consciousness and space. The element of emptiness is the most wonderful element in all the Buddhist Teachings. In the Anguttara Nikaya, the Buddha states that when the mind is empty of greed, aversion and delusion, empty of ‘I’ and ‘mine’ then kamma ends by itself. This means that kamma, vipaka (its result), and the mental defilements which are the cause for the creation of kamma, spontaneously and simultaneously come to an end. So we don’t have to be afraid of kamma, to fear that we must be ruled by our kamma. We don’t have to be too interested in kamma. Rather, we should take an interest in emptiness. If we have created emptiness with regards to ‘I’ and ‘mine’, kamma will utterly disintegrate and there will be no way that we will have to follow its dictates. There emerged the key sentence that mind, Buddha, Dhamma, the Way and emptiness are all just one thing. This one sentence is enough there is no need to say anything more. It is equivalent to all the scriptures. To sum up - this one subject of emptiness covers all of the Buddhist Teachings, for the Buddha breathed with emptiness. Emptiness is the theoretical knowledge, it is the practice and it is the fruit of the practice. If one studies one must study emptiness; if one practises it must be for the fruit of emptiness, and if one receives the fruit it must be emptiness, so that finally one attains that thing that is supremely desirable. There is nothing beyond emptiness. When it is realized, all problems end. It is not above, it is not below, it is not anywhere-I don’t know what to say about it, better to shut up! Suffice it to say that emptiness is the supreme happiness. 1. Start out with three or seven long in-and-out breaths, thinking bud- with the in-breath, and dho with the out. Keep the meditation syllable as long as the breath. 2. Be clearly aware of each in-and-out breath. 3. Observe the breath as it goes in and out, noticing whether it’s comfortable or uncomfortable, broad or narrow, obstructed or free-flowing, fast or slow, short or long, warm or cool. If the breath doesn’t feel comfortable, change it until it does. For instance, if breathing in long and out long is uncomfortable, try breathing in short and out short. As soon as you find that your breathing feels comfortable, let this comfortable breath sensation spread to the different parts of the body. To begin with, inhale the breath sensation at the base of the skull and let it flow all the way down the spine. Then, if you are male, let it spread down your right leg to the sole of your foot, to the ends of your toes, and out into the air. Inhale the breath sensation at the base of the skull again and let it spread down your spine, down your left leg to the ends of your toes, and out into the air. If you are female, begin with the left side first, because the male and female nervous systems are different. iv. in short and out short. If you suffer from frequent headaches or nervous problems, don’t focus on any spot above the base of the throat. And don’t try to force the breath or put yourself into a trance. Breathe freely and naturally. Let the mind be at ease with the breath — but not to the point where it slips away. 6. Spread your awareness — your sense of conscious feeling — throughout the entire body. 7. Unite the breath sensations throughout the body, letting them flow together comfortably, keeping your awareness as broad as possible. Once you are fully aware of the aspects of the breath you already know in your body, you’ll come to know all sorts of other aspects as well. The breath, by its nature, has many facets: breath sensations flowing in the nerves, those flowing around and about the nerves, those spreading from the nerves to every pore. Beneficial breath sensations and harmful ones are mixed together by their very nature. The common breath is long and slow. The refined breath is short and light. It can penetrate into every blood vessels. It’s a breath of extremely high quality. the in-breath, the stress of arising; the out-breath, the stress of passing away. Once you cut off thoughts of past and future, you don’t have to worry about the Hindrances. Some people believe that they don’t have to practice centering the mind, that they can attain release through discernment (pañña-vimutti) by working at discernment alone. Both release through discernment and release through stillness of mind (ceto-vimutti) are based on centering the mind. They differ only in degree. Like walking: Ordinarily, a person doesn’t walk on one leg alone. Whichever leg is heavier is simply a matter of personal habits and traits. You can’t do without concentration. If concentration is lacking, you can gain nothing but jumbled thoughts and conjectures, without any sound support. When you see that a nimitta has appeared, mindfully focus your awareness on it — but be sure to focus on only one at a time, choosing whichever one is most comfortable. Once you’ve got hold of it, expand it so that it’s as large as your head. The bright white nimitta is useful to the body and mind: It’s a pure breath that can cleanse the blood in the body, reducing or eliminating feelings of physical pain. When you have this white light as large as the head, bring it down to The Fifth Base, the center of the chest. Once it’s firmly settled, let it spread out to fill the chest. Make this breath as white and as bright as possible, and then let both the breath and the light spread throughout the body, out to every pore, until different parts of the body appear on their own as pictures. If you don’t want the pictures, take two or three long breaths and they’ll disappear. Keep your awareness still and expansive. Don’t let it latch onto or be affected by any nimitta that may happen to pass into the brightness of the breath. Keep careful watch over the mind. Keep it one. Keep it intent on a single preoccupation, the refined breath, letting this refined breath suffuse the entire body. When you’ve reached this point, knowledge will gradually begin to unfold. The body will be light, like fluff. The mind will be rested and refreshed — supple, solitary, and self-contained. There will be an extreme sense of physical pleasure and mental ease. and it will immediately go away. 1. Watch the arising of feelings in the present. You don’t have to follow them anywhere else. Tell yourself that whatever may be causing these feelings, you’re going to focus exclusively on what is present. 2. Focus on the fading of feelings in the present. 3. Focus on the passing away of feelings in the present. 4. Stay with the realization that feelings do nothing but arise and fall away — simply flowing away and vanishing in various ways — with nothing of any substance or worth. When you can do this, you can say that your frame of reference is firmly established in feelings in and of themselves — and at that point, the Path comes together. (1) Being able to let go of mental objects but not of one’s own mind. (2) Being able to let go both of the objects of the mind and of one’s self. To be able to let go both of one’s objects and of one’s self is genuine knowing. To be able to let go of one’s objects but not of one’s self is counterfeit knowing. Genuine knowing lets go of both ends: It lets the object follow its own nature as an object, and lets the mind follow the nature of the mind. In other words, it lets nature look after itself. “Object” here refers to the body; “self” refers to the heart. You have to let go of both. Turmoil comes from our own defilements, not from other people. You have to solve the problem within yourself if you want to find peace. things will have to go well. The mind is the only thing that senses pleasure and pain. The body has no sense of these things at all. It’s like taking a knife to murder someone: They don’t hunt down the knife and punish it. They punish only the person who used it to commit murder. Don’t let defilements inside make contact with defilements outside. If we have defilements at the same time that other people do, the result will be trouble. For instance, if we’re angry when they’re angry, or we’re greedy when they’re greedy, or we’re deluded when they’re deluded, it spells ruination for everyone. Results don’t come from thinking. They come from the qualities we build into the mind. If you want to just think buddho, you can, but it is too light. 1. Those who attain only the first level [First Jhana] and then gain liberating insight right then and there are said to excel in discernment (paññadhika). They Awaken quickly, and their release is termed pañña-vimutti, release through discernment. 2. Those who develop jhana to the fourth level [Fourth Jhana], there gaining liberating insight into the Noble Truths, are said to excel in conviction (saddhadhika). They develop a moderate number of skills, and their Awakening occurs at a moderate rate. Their release is the first level of ceto-vimutti, release through concentration. 3. Those who become skilled at the four levels of jhana [Rupa Jhana]— adept at entering, staying in place, and withdrawing — and then go all the way to the four levels of arupa-jhana, after which they withdraw back to the first jhana, over and over again, until finally intuitive knowledge, the cognitive skills, and liberating discernment arise, giving release from mental fermentation and defilement: These people are said to excel in persistence(viriyadhika). People who practice jhana a great deal, developing strong energy and bright inner light, can Awaken suddenly in a single mental instant, as soon as discernment first arises. Their release is cetopariyavimutti, release through mastery of concentration. These are the results to be gained by meditators. But there have to be causes — our own actions — before the results can come fully developed. — on their own, without our ever having thought of the matter. Uggaha nimittas of both sorts can be either beneficial or harmful, true or false, so we shouldn’t place complete trust in them. If we’re thoroughly mindful and alert, they can be beneficial. But if our powers of reference are weak or if we lack strength of mind, we’re likely to follow the drift of whatever images appear, sometimes losing our bearings to the point where we latch on to the images as being real. So when sensation-images or thought-images arise in one way or another, you should thenpractice adjusting and analyzing them (patibhaga nimitta). In other words, when a visual image arises, if it’s large, make it small, far, near, large, small, appear, and disappear. Analyze it into its various parts and then let it go. Don’t let these images influence the mind. Instead, have the mind influence the images, as you will. If you aren’t able to do this, then don’t get involved with them. Disregard them and return to your original practice with the breath. With one exception [anapanassati], all of the  meditation themes mentioned here are simplygocara dhamma — foraging places for the mind. They’re not places for the mind to stay. If we try to go live in the things we see when we’re out foraging, we’ll end up in trouble. When you practice meditation, you don’t have to go foraging in other  themes; you can stay in the single theme that’s the apex of all meditation themes: anapanassati, keeping the breath in mind. This theme, unlike the others, has none of the features or various deceptions that can upset or disturb the heart. When one does what Buddhas do, one is a Buddha. When one does what Bodhisattvas do, one is a Bodhisattva. When one does what Arhats do, one is an Arhat. When one does what ghosts do, one is a ghost. These are all natural phenomena. There are no shortcuts in cultivation. they are not truly good deeds. those are truly bad deeds. If we are not empty, we become a block of matter. To be empty means to be alive, to breathe in and to breathe out. We cannot be alive if we are not empty. is the moment the wave realises it is water. - more than enough for you to be happy right now. You don’t have to run into the future in order to get more. People suffer because they are caught in their views. As soon as we release those views, we are free and we don’t suffer anymore. Life is available only in the present. That is why we should walk in such a way that every step can bring us to the here and the now. Just bare attention, just bare perception, is not enough. The defilements have already been at work and that’s the problem. We cannot trust even the first experience that comes to our senses. experiencing now, into something in the future, into fantasies or dreams. One cannot will the mind to be still! Remember that the greatest controller of all is Mara (the doer). Mara is the ‘doer’ inside you. “Come on; don’t get so sleepy”. “Come on, put forth some effort”. “Come on, get into a jhana”. Remember that the jhanas are the places that Mara (the doer) can’t go, where Mara is blindfolded. Do absolutely nothing and see how smooth and beautiful and timeless the breath can appear ! Indeed, one is placing faith in the knowing and taking it away from the doing. This is the theme underlying the whole of the meditation path. The five hindrances are the cause for the lack of samadhi. The lack of samadhi is not caused by lack of effort. Silence is so much more productive of wisdom and clarity than thinking. Give up your thinking, your thoughts; otherwise you get headaches. The mind seeks out silence constantly, to the point where it only thinks if it really has to, only if there is some point to it. Since, at this stage, you have realized that most of our thinking is really pointless anyway, that it gets you nowhere, only giving you many headaches, you gladly and easily spend much time in inner quiet. It is impossible that such a gross activity as thinking can exist in such a refined state as Jhana.In fact, thinking ceases a long time prior to Jhana. Thinking is an obstacle to gaining the samadhi which can know those worlds. The happiness generated by sensual excitement is hot and stimulating but also agitating and consequently tiring. It lessens in intensity on repetition. The happiness caused by personal achievement is warm and fulfilling but also fades quickly, leaving a sense of a vacant hole in need of filling. But the happiness born of letting go is cool and very long lasting. It is associated with the sense of real freedom. 6. It is a beautifully simple object. I mention these features so that you may distinguish real nimittas from imaginary ones. WHAT IF PITlSUKHA HASN’T APPEARED? Cultivate Sufficient Joy and Happiness (Pitisukha). Focus More Sharply in the Present Moment. When you’re doing the meditation on the breath, when you are watching the breath, when you have the breath in mind, don’t just watch any old ordinary boring breath. and it has the ability to really contemplate fully. 6. The five senses are fully shut off, and only the sixth sense, mind, is in operation. Don’t use just your thinking mind and all the ideas you had about anicca in the past, because many of those thoughts will not be capable of releasing the mind from the asavas, from thekilesas, the defilements and the fetters. That would be a superficial investigation. If you just suggest anicca to the mind – it’s amazing, even though these will be areas which you’ve never seen before, places where the mind has never gone before – because of the power of the mind you will be able to penetrate those areas of the Dhamma wherein the treasure of Enlightenment lies. When stillness really takes off it’s the flame of jhanas. The mind is so still it generates incredible states of mind and gives you all the necessary data you need. You understand you got there by stopping the ‘doing’ – no craving, no sankharas. Things have disappeared and consciousness is peaceful. This is bliss. All this rushing around that I have been doing, all this wanting and craving, that was the wrong way. You get the message at last about what renunciation truly is and why people are monks and nuns. When you get that message, then you are sweet for the rest of this life. What I’ve got now is enough, my mind is good enough and my body is good enough. It doesn’t matter how old and sick it is, my body is good enough. ‘Good enough’ is a cause for contentment. The flavor of the Dhamma will begin to appear when the mind is centered in concentration. Only those who practise meditation can truly understand the spiritual path. Learning meditation properly requires the guidance of a gifted teacher. The teacher cannot afford to make even the slightest mistakes especially when his disciple is meditating at a very high level. The teacher must know more than the disciple so that the disciple can respectfully follow his lead. It is wrong for the teacher to teach above his level of understanding. The disciple will not benefit from such instruction. But when the teaching is based on a direct experience of the truth gained through meditation, the disciple will progress very quickly. We will be able truly to see things as they are — without a doubt — once we can remove the counterfeit things that conceal them. For example, beauty: Where, exactly, is the body beautiful? What is there about it that you can claim to be beautiful? If you speak in terms of the principles of the truth, how can you even look at the human body? It’s entirely filled with filthiness, both within and without, which is why we have to keep washing it all the time. Even the clothing and other articles on which the body depends have to be dirty because the main part — the body — is a well of filth within and without. Whatever it comes into contact with — robes, clothing, dwelling, bedding — has to become dirty as well. Wherever human beings live becomes dirty, but we don’t see the truth, mainly because we aren’t interested in looking. Ãnãpãnasati Bhãvanã uses the breath as the objective support of the heart and consists in knowing and mindfulness (sati) of in and out breathing. After this one must just fix one’s attention on breathing at that place and one must no longer be concerned about fixing attention on the breathing at the tip of the nose or the palate, or about following it in and out with awareness. After having become skilled with the breath, every time one attends to the breathing process, one should fix attention at the point in the middle of the chest or the solar plexus. In particular, it is important to have mindfulness established. One must establish mindfulness to control the heart so that one feels the breath at every moment while it is entering or leaving, whether short or long, until one knows clearly that the breathing is becoming progressively finer with every breath – and until finally it becomes apparent that the finest and most subtle breath and the heart have converged and become one. At this stage one should fix attention on the breath exclusively within the heart, and there is no need to worry about the preparatory repetition, for in becoming aware of the breath as entering and leaving, and as short or long, the preparatory repetition is only for the purpose of making the citta become more subtle. When one has attained the most subtle level of breathing, the citta will be bright, cool, calm,happy, and just knowing the heart – and there will be no connection with any disturbing influence. Even if finally at that time, the breath gives up its relationship with oneself, there will be no anxiety because the citta will have let go of the burden and will just have knowledge of the heart alone. In other words, it will be non-dual (ekaggatãrammana). This is the result that comes from developing the practice of Anãpãnasati kammatthãna. But it should also be understood that which ever kammatthãna (40 types of meditation) is practised, and whoever practises it, this is the kind of result that should be attained. The waning and complete extinction of these Sankharas (formation) is happiness. And this greatest happiness does not die away and depart from one. “Nibbana is subtle and takes a lot of discernment. It’s not something that the force of desire can reach. People who are well-trained in concentration, with their hearts resting on a solid foundation, will maintain that foundation wherever they are. They constantly rest in peaceful meditative states whether they are standing, walking, sitting or lying down. Issues such as tiredness, pain or hunger will never bother or concern them. So try to keep sitting straight with legs crossed no matter how tired, painful or hungry you become while you are meditating. Centering your mind through focused attention and supervising the whole process with continuous mindfulness, is the effort required to bring about concentration, firmness and stability of mind. If you persist in your efforts until the heart finally passes through the threshold to concentration, all your previous concerns will disappear. You will no longer worry about them because your heart is detached from your body when you are resting in concentration [Jhana]. Are memories or perceptions [sanna] surfacing in your mind? If they are, they should be understood as enemies that come to destroy your meditation. So you must cut them off quickly. When practicing Jhana, you disengage yourselves from the thinking process so that a sense of peace, happiness and well-being will naturally arise in your hearts. You will then be able to appreciate why the Buddha encouraged his disciples to let go of their concerns and preoccupations, and stay with pure knowing instead. You will see clearly the happiness, well-being and freedom arising from practicing meditative absorptions (Jhanas) - among all the knowledge (Nana) to be developed, you should developed this first ! When you are heedful like this without interruption, pure knowing will come to the front and become bright and luminous; thoughts arising in consciousness will vanish immediately - they arise and vanish at the same time. A heart infiltrated by greed, anger and delusion is burning and painful day and night. Provoked by these defiling influences (defilements), one continues seeking the sights, sounds, smells, tastes, bodily sensations and mental objects without a break. What one obtains in the end, having pursued the rewards promised by the defilements, are just difficulty, pain and affliction. The things that we need to be watchful of are many. Forms, sounds, smells, tastes, bodily sensation and mental objects - all of them are potential causes of lust once they contact oursense doors,· any of them can be the origin of craving, defilement and suffering. But to what extent have you realized the harm latent in your sense doors? How clearly do you see it as your duty to watch over them? Your eyes, ears, nose, tongue, body and mind are busy receiving forms, sounds, smells, tastes, bodily sensations and mental objects all day every day, but have you realized that the important issue here, the really meaningful approach to be taken, is to stay heedful and remain self-controlled so that you can put out the fire of lust (Ragaggi), the fire of hatred (Dosaggi), and the fire of delusion (Mohaggi) that are waiting to flare up at any moment? The Pali word, Sanditthiko, means to know or to see for oneself. No one knows better than you do about the affairs of your mind. Do not think that it doesn’t matter whether you commit wrong-doing if no one else knows what you have done. Don’t entertain such a thought. Whatever evil you have done, be it significant or trivial, it won’t be able to slip away from your awareness. While you are still young, you have the most suitable conditions for the practice. As you grow older, the practice will become difficult. You should take note of this fact and put the Buddha’s teachings into practice before it’s too late. The Buddha taught that the training of one’s mind should be anchored in concentration orJhana, which is nothing but a matter of focusing the mind. If you don’t discipline yourself, creating the causes and conditions for your mind to become settled and still, there is no way you can cut through the flow of wandering thoughts. It is normal for our minds to jump about from one thought to another when we are just starting out in our practice. It is also common for our minds to get stuck with this memory or that story. Reaching peaceful meditative states may seem hopeless - making it so difficult to find any peace. Nevertheless, we put our trust in the Buddha, who taught that keeping our thoughts, imagination and all other mental concoctions under control, is the way to freedom, the true happiness. As a strategy for stopping the aimless activities of the mind, he advised centering the mind in a meditation object and using mindfulness to hold the mind in check, not allowing it to stray away from the intended focus of attention (Arammana). … you need to remain alert to the activity of your perceptions and memories - are memories or perceptions surfacing in your mind? If they are, they should be understood as enemies that come to destroy your meditation. So you must cut them off quickly - as though wiping them out in the same moment they arise. These are precisely the work and duties that should be undertaken in your practice, so train yourselves accordingly and enter the battle. ... you abide taking good qualities of the heart as your principles, upholding the Buddha’s teachings as the vehicle for conveying you to the end of suffering - the problem of suffering can be solved, and its remedy starts working right from the moment when you first resist the urge to think, instead of obeying the commands of greed, hatred and delusion. The Buddha warned that, as long as our hearts are not free from defilements, we should not trust our thoughts. The one who knows, pure knowing and Buddho are synonymous with the Pali word Citta. Is it necessary, in meditation, to have a nimitta? In some meditation subjects (kammatthàna) like ànàpànasati(mindfulness-of-breathing), kasina meditation and repulsiveness meditation (asubha), a nimitta is necessary. If one wants to attainjhàna in other meditation subjects, like recollection-of-The-Buddha (Buddhànussati), a nimitta is not possible. In lovingkindness meditation (mettà bhàvanà), breaking down the barriers is called the nimitta. Only a name, for it is in fact not a nimitta. To enter jhāna whenever desired. To resolve (adhiññhāna) to stay in jhāna for a determined duration, and carry out the resolve. To emerge from jhāna at the determined time. To advert to the jhāna factors. To review the jhāna factors. In the ‘Pabbateyyagāvī Sutta’ of the Anguttara Nikāya, The Buddha says one should not try going to the second jhāna before mastering the first jhāna. He explains that if one does not master the first jhāna completely, and tries to go to higher jhānas, one will lose the first jhāna, as well as be unable to attain the other jhānas. One will lose all the jhānas. the cessation of mentality (nàma) and materiality (råpa). If you … try to do Vipassanà by contemplating the arising and passing away of … the råpakalàpas, you will be trying to do Vipassanà on concepts. So you must analyse the råpa kalàpas further, until you can see the elements in single ones: in order to reach ultimate reality. When the breath becomes subtle, that subtle breath is better. At that time do not make the breath clear. If you try to make the breath clear, then because of excessive effort, it will make concentration to decrease. When you are able to discern your immediate past life … you need in the same way to discern progressively back to the second, third, fourth, and as many lives back as you can. Whenever one’s mind wanders, one brings it calmly back to the breath. One does not get upset when one’s mind wanders. The Buddha said the bhikkhu breathes in and out understanding that his breath is long or short.As one‘s mindfulness of breathing develops, this comes naturally: one comes naturally to understand that one’s breath is sometimes long, sometimes short. It is not important whether it is long or short; what is important is that one is calmly aware that it is either long or short. Then The Buddha said the bhikkhu breathes in and out experiencing the whole body. By thewhole body (sabbakaya), The Buddha means the whole body of breath. This understandingalso comes naturally. As one’s mindfulness of breathing develops further, one becomesnaturally aware of the beginning, middle, and end of each in-breath and each out-breath as it passes by the nostrils or at the upper lip. Here again, it is not important whether one’s breath is long or short; what is important is that one all the time knows the whole body of each in andout breath: that one knows the whole body of breath from beginning to middle to end. Lastly, The Buddha said the bhikkhu breathes in and out tranquillizing the bodily formation. Bythe bodily formation (kayasankhara), The Buddha means the breath passing in and out through the nose. Tranquillizing the breath also comes naturally, because as one‘s mindfulness of breathingdevelops, one’s breath becomes more and more subtle, more and more tranquil. So, all one does is to try all the time mindfully to comprehend the subtle breath. How to Calm the Breath? Literally ‘deciding to make the breath calm’. Attention is the mental factor that makes the mind advert towards the object. Attention makes the mind conscious of the breath and know the breath. With the fourth jhana, one’s breath stops: that is how one fully tranquillizes the bodily formation. When one uses anapanassati to practise vipassana (insight meditation), one is also cultivating the thirty-seven requisites of enlightenment including the seven enlightenment factors. How? To practise vipassana as we have explained is mindfully to contemplate the three characteristics of impermanence, suffering and non-self in four things: materiality, feelings, mind, and dhammas. That is to cultivate the four foundations of mindfulness (cattaro satipatthana). Furthermore, to make effort to remove unwholesome things such as the perverted perceptions of permanence, pleasure, and self; and to make effort to develop wholesome things such as the perceptions of impermanence, suffering, and non-self, to attain the vipassana knowledges, is to cultivate the four right efforts (cattaro sammappadhana). Furthermore, to practise vipassana with either predominantly zeal, or predominantly effort, or mind, or investigation, is to cultivate the four bases of spiritual power (cattaro iddhipada). Furthermore, to have strong faith in vipassana (which is to have strong faith in the usefulness of knowing and seeing that the true nature of formations is impermanence, suffering and non-self); to make continuous effort to know and see the true nature of formations; to be mindful of their true nature; to concentrate on the true nature of formations; and to comprehend their true nature, is to cultivate the five controlling faculties(panca indriyani). To cultivate them in this way is also to cultivate the five powers (panca balani). Furthermore, to be mindful of the true nature of formations (their nature of impermanence, suffering, and nor-self); to investigate their true nature; to make constant effort to know and see the true nature of formations; to be rapturous at knowing and seeing their true nature; to tranquillize one’s mind upon the true nature of formations; to concentrate upon their true nature; and to look upon their true nature with equanimity, is to cultivate theseven enlightenment factors (satta bojjhanga). Lastly, rightly to understand the true nature of formations (their nature of impermanence; suffering, and non-self) is Right View; to apply one’s mind to the true nature of formations is Right Thought; to abstain from wrong speech, wrong action, and wrong livelihood by having undertaken the precepts is Right Speech, Right Action, and Right Livelihood; to make effort to know and see the true nature of formations is Right Effort; to be mindful of their true nature is Right Mindfulness; and to concentrate on the true nature of formations is Right Concentration. To cultivate those eight things is to cultivate the eight factors corresponding to the Noble Eightfold Path (ariyo atthangikomaggo): at this stage they are only mundane. That is how to cultivate vipassana using anapanassati (mindfulness of breathing) is to develop all thirty-seven requisites of enlightenment including the seven enlightenment factors. That was the first set of explanations in the ‘Anapanassati Sutta’. to make effort to develop wholesome things such as the perceptions of impermanence, suffering, and non-self. … if we do not understand the workings of kamma, we cannot understand the Noble Truth of the Origin of Suffering (Dukkha·Samudaya Ariya·Sacca), the origin of the five aggregates. That means we cannot become a Noble Disciple (Ariya·Savaka), and escape suffering. Therefore, we must attend closely to The Buddha’s explanations of the workings of kamma. But we must always remember that although we must try to understand The Buddha’s explanations of the workings of kamma, such explanations cannot provide true understanding. … for us to succeed in our meditation, we need to have accomplished much practice of thethree merit-work bases: not only in this life but also in past lives. And that practice needs to have been of a high quality: consistent and continuous. The persistent, strongly held wrong view that alone can lead to rebirth in hell is the view that somehow denies kamma and its result: either an annihilation view or an eternity view. Please do not forget, stubbornness and pride are defilements. Defilements do not produce a high birth, they produce a low birth. Such are the workings of kamma. Skill in the bases He explains as to know and see the six internal and external bases (eye/ colour, ear/ sounds, nose/ odours, tongue/ flavours, body/ touches, mind/ other objects). Skill in dependent origination He explains as to know the twelve factors of dependent origination and of dependent cessation. Do you want to be like a lotus? Now you know what to do. The very first thing for you to do is to develop strong and powerful faith in the workings of kamma as explained by The Buddha. With that faith and understanding, you may then accomplish superior wholesome kammas. With the working of those kammas, you may eventually attain the unworking of kamma. In this stage (the first jhana) there is no thinking - vitaka is not thinking and vicara is not thinking. When memories & perceptions arise, we can see that they are clouded and hazy, like a murky and overcast sky, incapable of penetrating to things as they actually are. Unhappy thought is further away from the jhana. Happy thought at least is nearer. But the joy that comes with thinking is not so good. The joy that comes without thinking is better. Work on the causes. It is impossible not to progress when the causes are right. Awakening cannot occur without the attainment of jhana in the canonical sense. What is essential is that one develop a sense of dispassion for the state of jhana, seeing that even the relatively steady sense of refined pleasure and equanimity it provides is artificial and willed, inconstant and stressful, a state fabricated from many different events, and thus not worth identifying with. Jhana thus becomes an ideal test case for understanding the workings of kamma and dependent co-arising in the mind. Its stability gives discernment a firm basis for seeing clearly; its refined sense of pleasure and equanimity allow the mind to realize that even the most refined mundane states involve the inconstancy and stress common to all willed phenomena. “ On whatever occasion the monk remains focused on the body [kaya] in & of itself — ardent, alert, & mindful — putting aside greed & distress with reference to the world, on that occasion his mindfulness is steady & without lapse. When his mindfulness is steady & without lapse, then mindfulness (sati) as a factor for awakening becomes aroused. He develops it, and for him it goes to the culmination of its development. “ Remaining mindful in this way, he examines, analyzes, & comes to a comprehension of that quality with discernment. When he remains mindful in this way, examining, analyzing, & coming to a comprehension of that quality with discernment, then analysis of qualities (dhamma-vicaya) as a factor for awakening becomes aroused. He develops it, and for him it goes to the culmination of its development. “ In one who examines, analyzes, & comes to a comprehension of that quality with discernment, unflagging persistence is aroused. When unflagging persistence is aroused in one who examines, analyzes, & comes to a comprehension of that quality with discernment, thenpersistence (viriya) [energy] as a factor for awakening becomes aroused. He develops it, and for him it goes to the culmination of its development. “ In one whose persistence is aroused, a rapture arises. When a rapture not-of-the-flesh arises in one whose persistence is aroused, then rapture (piti) not-of-the-flesh as a factor for awakening becomes aroused. He develops it, and for him it goes to the culmination of its development. “ For one who is enraptured, the body grows calm and the mind grows calm. When the body & mind of an enraptured monk grow calm, then serenity (passaddhi) as a factor for awakening becomes aroused. He develops it, and for him it goes to the culmination of its development. “ For one who is at ease — his body calmed — the mind becomes concentrated. When the mind of one who is at ease — his body calmed — becomes concentrated (samadhi) thenconcentration as a factor for awakening becomes aroused. He develops it, and for him it goes to the culmination of its development. “ He oversees the mind thus concentrated with equanimity. When he oversees the mind thus concentrated with equanimity, equanimity (upekkha) as a factor for awakening becomes aroused. He develops it, and for him it goes to the culmination of its development. Anything fashioned by conditions, whether physical or mental, is called a sankhara. All sankharas are unsteady and inconstant (anicca) because they are continually moving and changing about. All sankharas are incapable of maintaining a lasting oneness: This is why they are said to be stressful (dukkha). No sankharas lie under anyone’s control. They keep changing continually, and no one can prevent them from doing so, which is why they are said to be not-self (anatta). All things, whether mental or physical, if they have these characteristics by nature, are said to be not-self. Even the quality of deathlessness - which is a quality or phenomenon free from fashioning conditions, and which is the only thing in a state of lasting oneness - is also said to be not-self, because it lies above and beyond everything else. No one can think it or pull it under his or her control. Only those of right view, whose conduct lies within the factors of the path, can enter in to see this natural quality and remove their attachments to all things - including their attachment to the agent which goes about knowing those things. In the end, there is no agent attaining or getting anything. However natural phenomena behave, that is how they simply keep on behaving at all times. When meditators practice correctly and have the discernment to see that quality (of deathlessness) as it really is, the result is that they can withdraw their attachments from all things - including their attachment to the discernment which enters in to see the quality as it really is. The practice of all things good and noble is to reach this very point. This is where an experienced teacher can help, by pointing out the imperfection when it arises and encouraging you to overcome this attachment by seeing it as impermanent, suffering and without a self. Strong concentration is absolutely necessary for liberating insight. “Without a firm basis in concentration,” he often said, “insight is just concepts.” To see clearly the connections between stress and its causes, the mind has to be very steady and still. And to stay still, it requires the strong sense of well being that only strong concentration can provide. To gain insight into a state of concentration, you have to stick with it for a long time. If you push impatiently from one level of concentration to the next, or if you try to analyze a new state of concentration too quickly after you’ve attained it, you never give it the chance to show its full potential and you don’t give yourself the chance to familiarize yourself with it. So you have to keep working at it as a skill, something you can tap into in all situations. This enables you to see it from a variety of perspectives and to test it over time, to see if it really is as totally blissful,empty, and effortless as it may have seemed on first sight. The best state of concentration for the sake of developing all-around insight is one that encompasses a whole-body awareness. There were two exceptions to Ajaan Fuang’s usual practice of not identifying the state you had attained in your practice, and both involved states of wrong concentration. The first was the state that comes when the breath gets so comfortable that your focus drifts from the breath to the sense of comfort itself, your mindfulness begins to blur, and your sense of the body and your surroundings gets lost in a pleasant haze. When you emerge, you find it hard to identify where exactly you were focused. Ajaan Fuang called thismoha-samadhi, or delusion-concentration. An ideal state of concentration for giving rise to insight is one that you can analyze in terms of stress and the absence of stress even while you’re in it. Once your mind was firmly established in a state of concentration, Ajaan Fuang would recommend “lifting” it from its object, but not so far that the concentration was destroyed. From that perspective, you could evaluate what levels of stress were still present in the concentration and let them go. In the initial stages, this usually involved evaluating how you were relating to the breath, and detecting more subtle levels of breath energy in the body that would provide a basis for deeper levels of stillness. Once the breath was perfectly still, and the sense of the body started dissolving into a formless mist, this process would involve detecting the perceptions of “space,” “knowing,” “oneness,” etc., that would appear in place of the body and could be peeled away like the layers of an onion in the mind. In either case, the basic pattern was the same: detecting the level of perception or mental fabrication that was causing the unnecessary stress, and dropping it for a more subtle level of perception or fabrication until there was nothing left to drop. • Doubt is eliminated on the first stage, the path of stream-entry (sotápatti-magga). • Sloth and torpor and restlessness are eradicated on the path ofArahatship (arahattamagga). Hence the reward of the fight against the hindrances is not only the limited one of making possible a shorter or longer spell of meditation, but every step in weakening these hindrances takes us nearer to the stages of sanctity where deliverance from these hindrances is unshakable. If, monks, a monk perceives these five threatening dangers, it is enough for him to live heedful, zealous, with a heart resolute to achieve the unachieved, to attain the unattained, to realize the unrealized. Which are these five dangers? Sayadaw: If you make great profit in your business and people ask you “How much gold, how much silver have you got,” will you tell them? D: One shouldn’t tell others such things, sir. S: Then don’t talk to others about your achievements. As the mind’s focus grows narrower, the currents sent out by the mind grow shorter and more limited. Mae Chee Kaew had investigated and understood conceptual phenomena so thoroughly that the clear, bright essence no longer made conscious contact with them. Thought and imagination within the mind had come to a complete halt. The mind’s essential knowing nature stood out alone, on its own. When strange and unusual things occur in your meditation, just let them happen. Don’t become attached to them. Such things are really an external focus and should be let go of. Put them down and move on — don’t hold on to them. All realms of consciousness originate from the mind. Heaven and hell originate from the mind. Pretas and devas, lay people, nuns — all living beings originate from the mind. Because of that, it is far better to focus exclusively on your own mind. There you will find the whole universe. In a perfectly still, crystal-clear pool of water, we can see everything with clarity. The heart at complete rest is still. When the heart is still, wisdom appears easily, fluently. When wisdom flows, clear understanding follows. The world’s impermanent, unsatisfactory and insubstantial nature is seen in a flash of insight, and we become fed up with our attachment to this mass of suffering and loosen our grip. In that moment of coolness, the fires in our heart abate, while freedom from suffering arises naturally of its own accord. let go of the breath and concentrate on the nimitta. Penetrate ultimate reality when one withdraws from the fourth jhana. Whatever Suffering arises, all that is caused by Mental Construction! Stilling of all Mental Construction thereby ceases all Suffering completely! Enlightenment is not something you wish for. It is the state that you end up in when all your wishes come to an end. Live the present, the past is gone and the future has yet to come. Whatever in the present if there is a need to let go of, what more the past and the future. for every moment in the present has been the immediate future and will be an immediate past. There is no other time worth to be but the present. The breath is a phenomenon that is happening right at the very present moment. When the mind is exclusively with the breath, there is only the present. This practice is present-based, not future-based. This practice is cause-orientated, not result-orientated. This practice is steps-based, not destination-based. This practice is process-orientated, not goal-orientated. Try avoiding livelihood which is goal-orientated. They are sources of immense stress as a result of tanha. Work on the causes at the present, rather than worry about the results in the future. If we do this, the results will naturally follow, contented in whichever way it came out to be. Whatever that can be done has been done. How does one let go ? When one is gripping a glowing hot iron, what does one do ? When one is grabbing a king cobra which is about to strike, what does one do ? When one is grasping rupa, what does one do ? When one is grasping vedana, what does one do ? When one is grasping sanna, what does one do ? When one is grasping sankhara, what does one do ? When one is grasping vinnana, what does one do ? Let go. Not letting go is grasping. Grasping results from a desire to stay the change. All these 5 khandhas are changing. As a result of desiring these phenomena that are ever changing to stay the same is not possible. And that inevitably results in dukkha. knowing and seeing the very nature of these phenomena. No matter how certain and sure phenomena seemed to be, do not be deceived. Stay impartial. Stay equanimous. Balanced. Unperturbed. Cloudiness, fogginess, hiddenness is a common feature of delusion. All conflicts originate from within the heart. If one wants to end all the conflicts, one must then attend carefully and attentively within one’s heart. Looking at how the conflicts arise and cease, right there. what unwholesome (or wholesome) deed one does. This is because one knows. And this is what that matters. We need to learn to take both the wholesome together with the unwholesome within. It is difficult initially to accept the unwholesome. Knowing both is to have gained sight from blindness. Knowing both is to have gained insight from delusion. that are being experienced at the present moment. Attachment to pleasantness and aversion to unpleasantness need to be noted. Learn to let them go. Let them be. Let the unpleasant be. And let the pleasant be as well. Stillness in body and mind results. Speak only the truth and nothing but the truth. But not all truths need to be spoken. pleasant not harsh, and useful not mere idle chat. and not to bend the Truth to suit our views. When atta is strong, it bites strongly. It bites strongly the one who harbours it. It bites strongly the one who blames. The story does not end here. There is a sequel. When blame is reciprocated, it will bite again. And the blame does not necessary come from without. There is no other way but to let ‘I’ go. Only then will the biting stop even if the reciprocated blame does not from without. The ‘I’ is indeed dangerous and harmful. There is indeed a need to penetrate Anatta. Anyone who looks within will be startled with the selfish sense of atta. And what it can do. The stronger one has been holding to the sense of atta, the stronger will be the shock. One needs to let it go. The sooner the better. to practice diligently & realize it for oneself. if one has indeed tasted the Releasing Dhamma for oneself. One is genuinely only a Buddhist when one is at least a stream-enterer, Sotapanna. So strive to be a genuine Buddhist. Cultivate the 4 protective Brahmaviharas (Metta, Karuna, Mudita & Upekkha). We may just never know for the one among us may very well be a Noble one ! He/She does not need to be in saffron. The Bhikkhu and Bhikkhuni orders provide the best conditions for the practice of Release. Impatience is tanha. So is intolerance. Tolerance is good, but not good enough. The fire is already burning. However, this training does start with restrain. Dislike is not good at all. For the fire has already started burning. Even the amber is not good at all. It can anytime rekindle into a fire. So, too is like, although it is more subtle to detect. But they all have the same taste, the taste of stress. Liking and disliking are both tanha. Tanha grips and grasps the body (& mind) like the penetrating claws of the nerves from the spinal cord, and stays. The grey matter, a part of the body, is gripped and not spared as well. Avoid the two extremes, like and dislike, the mothers of lobha and dosa. Even like and dislike need to be abandoned, what more greed and hate. They differ only in intensity. Like and greed have the same taste. Just so, dislike & hate have the same taste. For those who love a lot, be prepared to hate a lot as well. Wanting is a desire. It desires ‘this’. Not Wanting is also a desire. It desires ‘not this’. Peace comes from the stilling of the movement of wanting and not wanting on two extremes. Peace is the result of the stilling of both sides that settles in the middle. how could the whole be not ! The mind even more so ! Anicca. Nothing stays even for a moment. In Jhanas, the protons and electrons becoming neutrons? The attraction and repulsion neutralised. Becoming neither attracting nor repelling. If one takes care and over emphasises one’s body over one’s mind, one will inevitably fall into remorse and disappointment. The time and energy invested will ultimately proof futile because one’s body cannot escape from decay, old-age, sickness, falling part and ceasing to function. Looking after one’s mind is the better viable investment. Having the body & mind is the result of rebirth. The true nature of both needs to be penetrated. Letting go of all phenomena, physical & mental, is the only viable investment. tranquil, settled, faded, ceased, converged, still, one-pointed, equanimity. Goodness! Stillness is not enough. One has yet to arrive. One has yet to be still. All the -ness and -ing are not enough. They are yet to be so. One-pointed is staying precisely at the present moment, in time and in space. 10 -100 seconds in the future or in the past, one has missed the point. in every present moment in meditation. We take the object of meditation, the breath, everywhere we go. The sitting posture is the best posture for the practice of stilling and absorption. There we breathe, there we meditate. Peacefully and silently with the breath, every waking moment. Not only during formal meditation. Meditation is the art of living with every breath. There will be lapses, forgetfulness. Till Mindfulness is Rightly established. Finding suitable occasions to meditate is good. Doing it a few hours a day is better. Maintaining mindfulness throughout every waking moment is the best, the genuine practice. This may sound burdensome for the untrained mind. But when effort, mindfulness and concentration are right, it becomes peaceful. With every breath, in- and out-. There will be lapses, never mind! Strive still for the genuine practice. Try making every moment a practice. because ultimately the practice is still for the living at the very present moment. For those who are resolved to attain release in whatever Noble levels this life time need to resolve making every moment a practice, from this moment. This life time may not be enough if one does not. Do not wait. The next birth is too uncertain and may come too unexpectedly, and too soon. The attainment of release is a full time release. Can a part time practice attain a full time release? at any moment in the very present. and of course the bhikkhus & bhikkhunis. Do not wait to be someone else. That’s the delusion of living in the future. Whatever condition at the present is good enough for practice. They are postures for meditation throughout as long as one is awake. Try resolve not to give in to thinking throughout as long as one is awake. Try staying with the object. Try staying with the knowing. Knowing only the five senses is not enough. the eye-visual, the ear-audio, tongue-taste, nose-odour & body-touch. mind-sankkhara (constructions like thoughts) and mind-vinnana (consciousness). Even the body, only the mind knows. The body does not. Plain mindfulness is not enough. For Right Mindfulness is appropriate attention, not any plain attention. Concentration achieved through force, as a result of vary degrees of wanting, is not right. Be patient and be gentle. When one meditates, one is not going for a battle, not even in battling the defilements. If one has the view that one goes on a battle against the defilements, then one is using the defilements to fight against the defilements. This view is not right. This battle can never be won. that is a reflection of the nature of the world inside. Do not fight the mind. Understand it. Meditation is to learn how to be one’s best friend. We do not win a best of friend by fighting. It is won only by understanding. Your best friend cannot help you as much as your own peaceful & harmless heart. If it is already harmless, what else is there to guard ! Right Concentration reveals tenseness rather than causes it. Right Concentration reveals the existing uneaseness. If there is none, there is none the need to practise in the first place ! If there is none, then the First Noble Truth is not. Conventional truths only remain as truths for just a period until conditions change. Absolute truths of dukkha, anicca & anatta remain as truths regardless. When there is tenseness, balance the 5 faculties to ease the tenseness, to make it comfortable. One may need to review one’s precepts, lifestyle & habits, if one can’t as yet. one may want to consider adding on more precepts that can assist one in samadhi. dropping meals after noon may prove to aid in one’s progress. Body becomes lighter and healthier. Sloth gets farther. So can adding other precepts like sitting or sleeping on high places, using perfumes, etc, etc, that meant to weaken the sense of atta/ego/self/vanity. one may want to consider refining on the precepts that can assist one in samadhi. From kamesu to abrahmacariya can reduce sloth, torpor and delusion. Viriya and piti easily aroused. universal kindness, compassion & harmlessness. From non-lying to include gentle, harmonious & useful speech. From non-stealing to taking only the given. which many consider to be mere symbolic of going forth or renunciation. with even a tiny length of hair on one’s head. The practice of anapanasati is a practice of contentment. The mind is simply contented with such a simple object as the breath. Build up on contentment. Piti and tranquility will follow. And concentration will gradually result. Without contentment, there can never be true concentration. Without true concentration, there can never be true peace. When one with stillness acts, one acts with detachness. by tranquilizing the body (rupa). and abandoned in the second tetra, for the higher jhanas. The tetras of anapanasati are non-linear in practice. So are the factors of the Noble Eightfold Path. Texts are represented in 2 dimensions of distance … linear. When piti-sukha arise, one will truly appreciate more what the Buddha has taught. One will experience the benefit of concentration more profoundly. which once seems to be beyond one’s capability. comfort and peace, here and now, based on self reliance. Panna has a peculiar way to de-stress. Panna knows how to unbind the nerves. Just by way of long and short breaths. relief from dukkha, here and now. Right Effort relieves … otherwise it is not. relief from all dukkha, here and now. Causes are compounded elements/phenomena coming together giving certain results. are compounded elements/phenomena giving certain results. The Noble Eightfold Path results in Release & Nibbana, for certain. The conditioned resulting in the unconditioned. And the conditioned is abandoned, once the unconditioned is attained. Just like the 8-bounded raft, once the crossing is over. Transient are all conditioned states. Radiate metta to oneself on breathing in long & gently. Radiate metta on breathing in long & very gently to the heart. Then radiate metta to all beings on breathing out long & gently. the lips, the face, the brain, the material heart, the whole body. Suffusing & permeating … from every pore. Wishing every being in the whole universe including oneself to be happy, healthy, peaceful. Free from the stress of dosa, lobha & moha. Guard the 6 sense doors on contact. It is a cause for the mind becoming unstill. For those who are steadfast in stilling their mind need to guard these sense doors. Lust is just but a very powerful desire for sense pleasure. Touch is a very dominant sense seldom realised. Even the gastric juice giving rise to unease vedana is the result of touch. The gastric juice touching the stomach walls. Walk the concentration, not talk by thinking about it. Thoughts are verbal. Thoughts talk. the stressfulness of change [anicca]. Thoughts are fabrications, mental constructions, sankhara … stressful, dukkha. Therefore whenever there are thoughts, there is already ignorance. if one aspires to achieve stillness. Movement of the constructing mind is unstillness. Whenever thoughts arise, the object is lost. Whenever thoughts arise, cloud arises. Question: Is Samma Sankappa rightly translated as Right Thought? Question: Is vitakka rightly translated as applied thought and vicara as sustained thought? All commentaries, words & thinking need to be let go. All counting, verbal in- & out-, long & short, and Bud- dho need to be let go. The breath can only be directly experienced as it really is only when all concepts are let go off. if one is steadfast on overcoming stress. for bringing the mind closer to the meditation object. When this purpose is achieved, we need to let them go for the next level. then one can live even much better without thoughts. Do not entertain any doubts that may arise about this. Practice and the truth of this practice will be known. then how more possible without thoughts when one is occupied with the very presence of driving, a safer living. is being devoid of thoughts. Peace is a constant companion of progress in letting go. One of the most difficult in letting go is the letting go of one’s views, whether right or wrong. The peace resulting from the silent mind is far more peaceful than the one with thoughts. There are various levels of peace, concentration, and insights along the practice. the levels of peace, concentration and insights experienced are not quite right yet. Even the dukkha seen through peace is not the same as the dukkha seen without peace. whether one is practising meditation or not. one experiences dukkha with an increasing peace of mind. This is because right concentration relieves dukkha into ease. reflect the occupation of one’s mind. When thoughts distract, eye ball alignment runs. when tightness in the eyes eases and clears. Do not underestimate the subtle pleasantness from the touch of the breath at the nostrils. It has a purifying, clarifying, energising, relaxing, cooling, releasing, unbinding, straightening, soothing, tranquilising effect on the body as well as the mind. beyond the reach of those who do not practise. The Buddha’s Path starts with Right View … the view that Nibbana is attainable in the very present moment. If the practise is for the next life or even the next moment, then it is not right. Nibbana occurs only in the present. Just one breath. This breath. An Ajahn recounted a session with Luang Por Chah. Ajahn: Luang Por, I could establish my mindfulness in just one breath. Luang Por Chah: It’s not enough. [Mindfulness needs to be sustained throughout. And it is enough to provide a relatively healthy body. Try avoiding strenuous exercises that give rise to pain and strain. We do get affected in sleep as in wake. Dreams are mental constructions, the disquiet sankharas. Over sleeping or laying down too long causes lethargy to the body and mind. Blood-flow slows. Body becoming heavy. Sloth and torpor prevail. Avoid over in every posture. When the jaw drops, it is a sign of delusion. Of sleepiness. Of uncertainty. Of doubt. Build up energy / viriya. When the body is able in every posture, strive. When it is not, more obstacles to striving have already arisen. For those immobile, it is indeed difficult. Take a rest from each posture. Even resting from reclining, resting from sitting, not only from walking & standing. There is simply no way in staying in one posture for very long. which is in actual fact a delusion blinded by tanha. tormented by one’s own hard skeleton ! In every posture, one is sitting, walking, standing and reclining on one’s own flesh. Try reclining on the right side. Reclining on the left suppresses the heart which gives rise to more unease. Recline on the right side. Covering foot on foot provides the most stability and ease. The left arm along on the body. The heart beat is intrinsically dukkha. The very muscles tense and tense, alternately. Unlike the lungs which tense and relax, alternately. For the heart, there is no relaxing moment. For the lungs, we simply can’t have only the relaxing moment. In Jhana, all these stop. Indeed the supreme Sammasambuddha has found a conducive point on the kaya (body). which initially may be neutral in terms of vedana (feeling). However when concentration increases, this neutral feeling gradually changes to pleasant. And this subtle pleasantness serves as an inducement for the mind to greater concentration. A gateway to the jhana, and all the way to Nibbana, thus has been said. Indeed an abiding is found where the mind can find a peaceful rest, in this samsaric world. Despite this subtle pleasantness and conduciveness, effort still needs to be consistent & persistent. Now, if there is an object, like the abdomen, which is fundamentally unease. Its movements resulting from tensing and relaxing muscles. Can the mind find a peaceful abiding in that object and enter the jhana? Can the mind absorb in unease? Can the mind absorb in stress and be peaceful? or pounding heart as an object and enter the jhana? because these objects by nature are not appropriate for the purpose of absorptive calm. Then, if there is an object, like the abdomen, which is fundamentally unease. Its movements resulting from contracting and relaxing muscles. There is, however, a focal point about the abdomen. But which is difficult to discern unless the body & the mind is sufficiently calmed. If one is able to discern that focal point which results in peace and which leads to the jhanas, then one should use that point at the abdomen. A mind without ease & peace is far from concentration, much farther from the jhana, and even much farther from release. Peace is the fundamental of the Buddha’s teaching. All practices for peace need to be supported and united. All individuals, lay or samana, need to be supported. And genuine support comes together with one’s inner peace. Straightening of views and practices need foremost a peaceful & harmonious mind. Never cause disunity. Always for harmony. Released through discernment (panna or wisdom) the first Jhana is a necessity. Released without jhana is not a possibility. Jhanas are resting states in which an Arahant abides. because suffering is still there to be felt. The suffering that arises when the decaying elements strike. but Nibbana is not, and so they work on discernment without samadhi. Then they need to change this erroneous view, for how could the harder (Nibbana) be achieved without achieving the easier (Jhanas). Equanimity and one-pointed mind is the only remaining factor in the fourth Jhana. If one cannot attain equanimity and one-pointed mind, can one attain Nibbana? A stilled mind is synonymous with a one-pointed mind: the unwavering, non-movement of the mind. This happens only in the jhana. Momentary concentration is not good enough. The Sammasambuddha is indeed unmatched in compassion (karuna). He has made possible a peaceful abiding on the simple breath. A gradual peaceful abiding here and now in samsara even before total Release. The Buddha’s Path is a path of knowing and seeing. Practise and the individual factors will be clearly known for oneself. All the various types of meditation objects are but tools to know and release the heart. Form (Rupa), feeling (vedana), perception (sanna), sankhara (mental formations) & vinnana (consciousness) all need to be let go of. They are but objects of deceit through attachment resulting in continuous rebirths. Deceit from peaceful abiding here & now, release & awakeness. Some guides, presented here & anywhere, may seem contradictory. They are guides that remain true only for the moment depending on the present conditions. And when conditions change, these guides may no longer be true. The practitioner needs to cultivate the wisdom to know by one’s very own that is based on virtues and paramis. There are dhammas as many as the leaves in the forest that can be known and realized. the Supreme Dhamma sufficient for Nibbana, before anything else. let there be only the knowing and realisation of the Essentials till Release is attained. And what are the essentials? The more one practises, the more silent one becomes. The words have all been spoken by the Sammasambuddha, perfectly. what the Buddha had taught. That leaves now seeing the knowing. This familiar Tibetan motif, called Thunpa Punshi, has its origins in the Jataka tales of the Buddha’s previous lives. The parable is one of “honoring age” and working cooperatively. It relates how four animal friends - an elephant, a monkey, a hare and a partridge - once lived beneath a great Banyan tree in the Himalayan foothills. They were discussing the tree and how to harvest its fruit. The elephant related how the tree was a small when he was a baby. The monkey said that it was a bush the size of his body when he was young. The hare related how he had licked the dew off the leaves of the tree when it was a small shrub. Finally the bird spoke telling of how he had one swallowed the original seed and how this mighty tree had actually sprouted from his droppings. The partridge was honored as the eldest, senior in rank to the hare, monkey and elephant. Through their proper ranking and harmonious cooperation the fruit was obtained. This symbol is displayed in the home to bring harmony and cooperation. There was once a King who loved his chariot. He would drive around with his four beautiful horses and scare the whole neighborhood. On festive days he decorated the chariot wagon and the horses it bright colours and drove wildly through the whole village. One day he parked outside the palace and ran in to get a drink of water. When he came out he saw the leather bindings of the wheels eaten away. There were teethmarks of dog on the wheels. He became enraged and ordered all dogs in the kingdom killed. The dogs in the city left as fast as possible. They joined the wild packs around the forest surrounding the city. They all feared that the kings enforcers would come and exterminate them for something they did not do. The alpha male (the Buddha in a previous lifetime) decided to put aside his own fear and go talk to the king. He was such a magnificent animal that the guards did not dare kill him instantly. Once before the king the king asked,”Why aren’t you dead already. I ordered all dogs killed. The King said, “Show me the guilty parties or all dogs must die, talk or no talk.” The alpha male continued, “Have the royal dogs eat kula grass. This will make them cough up what is in their stomachs. The royal dogs were given kula grass juice to drink and lo and behold they coughed up leather form the royal chariot. The King was amazed. He ordered the killing to stop and let the pets of the common people back into the city. He halted all killing of wild dogs except those known to kill livestock. Every year the royal dogs had to serve the common dogs from both the city and the forest at a great banquet in the centre of the city. Thus it is that a King learned the meaning of justice, courage and compassion from the Buddha who at time was living as an alpha male with a pack of wild dogs in that lifetime. 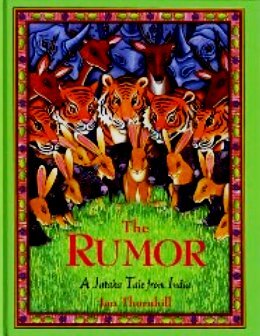 The Royal Institute Dictionary B.E.2542 (1999) defined “Tales” as “the stories that are passed down orally for generations such as, for example, Jataka Tales and the Tales of Isop”. Kingkaew Attakorn (1976, p.12) explained that “Tales” are stories passed down for generations and they are regarded as cultural heritage. Most tales are told stories but there are also many tales in the written forms. 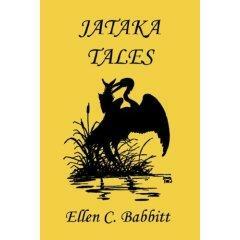 It was further explained that tales are stories generally told with out intention to disclose their actual origins. The objectives are mostly to bring fun and joy while sometimes the moral precept can also be inserted as part of the story. Tales are not only tales for children. There many adult tales and they are only appropriate for adults. Kularb Mallikamas (1975, pp.99-100) defined “Tales” in the book of folklore as heritage literatures that are traditional stories orally passed down for bringing entertainment and relaxations, strengthening faith in gods or the holy divinity. Besides, tales can be means for moral teaching which helps to increase understanding in the environment and natural phenomena. There are various tale stories. They can be adventures, romance, jealousy, comedy, or extraordinary. Characters in tale stories are also different such as human, non-human, princess, prince, witches, or angels. However, these characters possess their own thoughts and their behaviors can be similar with general human behavior or in the other ways as desired. Local tales always tell stories that match local environment. Hence, the contents of tales in each locality are usually similar i.e. human conditions, emotions, passion, detestation, foolishness, intellect, humor, pain, or happiness. Details can be different as influenced by local cultures and beliefs. Sumamal Pongpaiboon (1999, p.7) indicated that “tale” is a Bali word which means “story-telling”. Regardless of the story’s types, tales are intimately told. Although many tales are available in written form, the stories are still similar to those orally told. In summary, tales can be regarded as the stories that are told by human who intellectually constructed such stories with their wisdom. Most tales are passed on in the oral traditions. Tale stories can be in different styles with possible different objectives depending on occasion and local environments. there are relatively few images extant from the Pagan Period numbering in the hundreds rather than the thousands. This situation is explained in part by the fact that the major image(s) in most temples were made of brick and stucco and, over time, all of these images were gutted by vandals while seeking the contents of the small deposit boxes that were placed behind the neck and navel. If this explanation accounts for the brick and stucco images, why then are there so few images of stone or metal? (Sandstone was primarily used for secondary images placed in temple niches for only a short period during the late11th & early 12th centuries and was then abandoned.) Why there are so few metal images remains a mystery. One of the peculiarities of Buddhist sculpture is that the most important event in the Buddha’s life from the point of view of mankind is not the event most frequently represented in sculpture. 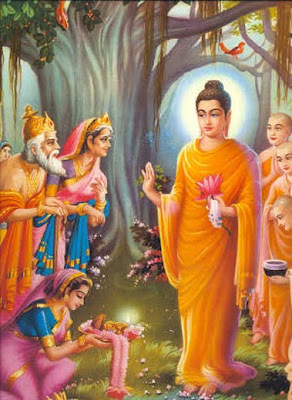 Depiction of the Buddha’s personal enlightenment vastly outnumber representations of all other events in his life including that of his first sermon in which he shared his recently discovered knowledge with all humankind. The multiple images of the Buddha in Burmese art are excellent examples of this peculiarity in which the Buddha is most frequently shown seated with legs folded; left hand in his lap, palm upward; right hand on his shin, palm inward with fingers pointing toward the earth (bhumisparsa mudra). This hand gesture is symbolic of his overcoming the last obstacle to enlightenment, self-doubt. After years of asceticism and many days’ meditation under the Bodhi tree, the Buddha began to doubt that his past lives had been sufficiently perfect to warrant attaining enlightenment. This was because he believed in rebirth - a belief that the soul, like energy, cannot be created or destroyed, but instead experiences changes only from one form to another. Therefore, the Buddha, like all mankind, had innumerable past lives, all of which would have had to have been lived to perfection if the Buddha was to achieve Nirvana. His difficulty lay in the fact that, like other mortals, he could not remember all his actions in all his former lives. Therefore, he could not be absolutely sure that enlightenment was eminent. By placing his hand on his shin and pointing towards the earth, he summoned the Earth Goddess to come to his assistance. Since in his former lives, the Buddha had participated in the common practice of pouring water on the ground to witness each of his meritorious acts, the Earth Goddess was able to wring a “tidal wave” of water from her hair that had accumulated over the Buddha’s many previous lifetimes which was proof of his steadfastness and perfection. The Earth Goddess (Vasundari - Pali or Wathundaye - Burmese) is presented as a woman wringing water from the tresses of her hair, which constitutes one of the rare instances where women played an important role in the Buddha’s life. This role, however, was not trivial. It was of pivotal importance because without her witness and assistance the Buddha would not have gained awkeness. Since the Buddha’s complete enlightenment occurred immediately after “Calling the Earth Goddess to Witness” and since enlightenment takes place within the body without necessarily any outward indication, the iconographic position of “Calling the Earth to Witness” has come to be accepted as representing the enlightenment of the Buddha. To enhance this association, the cranial protuberance (usnisha = cosmic consciousness or supramundane wisdom) and the enigmatic “smile of enlightenment” were also employed. Images of The Buddha seated in bhumisparsa mudra have been endlessly replicated in the art of Burma and Southeast Asia because it is a reminder to all mankind that there is a way to end human suffering. Therefore, as such, the creation of every additional image of the Buddha is a meritorious act that improves the donor’s karma. The multiple images of this event stamped on clay votive plaques evidence the zeal of ancient donors who at times created forty or even one hundred images of the Buddha with a single impression of a metal mould. Because of the large number of Buddha images, these plaques were thought to be especially efficacious in assuring the ritual purity and power of a specific site and, therefore, were often placed in underground chambers below the center-most point of the sanctum in a Buddhist building. In Burma, two devotees frequently appear at either side of the Buddha’s throne and are identified by the Burmese as his two chief disciples, Mogallana and Sariputta, although their presence at enlightenment is not historically (i.e., canonically) correct. At the time of enlightenment, all the Buddha’s friends had abandoned him and it was not until later that disciples came to learn his newly discovered knowledge. The insistence of the Burmese to place these two figures at the feet of the Buddha, from at least the 11th century onward, may be explained in part by the Burmese belief that Buddhism was introduced into Burma during the Buddha’s lifetime by two of his disciples. This serves to strengthen Burmese ties to the purest version of the Buddha’s message – a particular concern of the Theravada Buddhists - which is considered to have been pure and without corruption during his lifetime - although none of the several names given to the early Buddhist missionaries to Burma is Mogallana or Sariputta. Most Burmese males are expected to join the monkhood at some time during their lives, if only for a brief time. Boys, usually between ages 8 and 13, enter a monastery as a novice after their ceremonial induction or Shinbyu. The entire community is invited to this ceremony, which re-enacts the various stages in the Buddha’s life up until the “The Great Renunciation” when the Buddha adopted the restricted regimen of an ascetic (=monk). Ordained Buddhist monks are invited to perform the induction ceremony for a novice and receive gifts of the few necessities allowed them by canonical law. The rules and regulations under which the novice and the monks must live are contained in the Tripitika, excerpts from which are recorded within the Kamawasa, an especially ornate form of Burmese Buddhist manuscript that is produced for use during a Shin Byu ceremony. A new Kamawasa is presented by each novice and is then used to instruct the fledgling novice how to read aloud the Pali language of the Tripitika text, which is a required part of the induction ceremony. The manuscript is then donated to the monastery by the novitiate and his family. Buddhist monks, as part of their vows, renounce the things of this world including all personal property. The monastery loans each monk their few personal belongings that often vary according to sect and country. In Burma the permitted items are an alms bowl with cover and carrier; three cotton robes (untailored, simple rectangles of cloth), a belt, sandals, a fan, a staff, a rosary, a razor, and a drinking cup. Two sheets, Towels, toothbrush, toothpaste, and simple herbal medicines are also allowed. A monk may travel and carry all these items on his person. 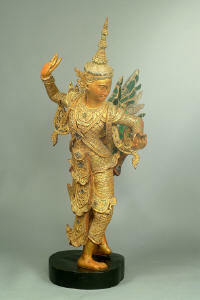 This can be seen in sculptures such as those of the Burmese monk, Shin Thiwali, who is the Burmese patron saint of travel. His image within the home is also thought to prevent domestic fires and theft. In Burma an acceptable, but non-canonical, item a monk may possess is a betel nut canister, because the chewing of betel is considered to be medicinal and health promoting and monks are allowed a few, select herbal remedies. Monks spend all of their time in religious pursuits and therefore do not work at mundane tasks. They exist entirely on the donations of the laity and leave the monastery each morning at dawn to collect donated food in their alms bowls. Since the laity views these donations as a means to make merit to improve their own karma, on ceremonial occasions monks are invited to ritually receive large amounts of food. Large, ornate alms bowls are used for this ritual presentation of food by the laity to the monks. When worn out, all items are returned to the head monk for disposal and discarded monk’s robes may be used as the foundation from which to make the pages of a Kamawasamanuscript. Ancient Buddhist books were written in the Buddhist language, Pali, (or possibly Sanskrit) on specially prepared fronds that had been picked from the talipot palm. This produced nearly illegible engraved lines that were then made distinct by rubbing each engraved leaf with soot and oil. The leaves were then arranged on a short wooden rod or peg that passed through a small hole in each page. The bundle of pages was then placed between two wooden covers, often bound with a cord, and inserted in a cloth envelope. The long, rectangular shape of the palm leaves determined the shape of a Buddhist book whose proportions are inverse to those of western books: Buddhist books are much broader than tall, whereas western books are usually more tall than broad. The format of a manuscript made of palm leaves was retained when the Kamawasa was created by the Burmese from cloth, lacquer, and gold leaf. The Shan peoples in northeast Burma created religious books from a paper made from the cambium of the mulberry shrub. Although made of paper that is concertina folded, the form of these books conforms to that of a stout palm leaf manuscript. Each accordion folded page is read in succession on one side of the single sheet and then the book is inverted in order to read the succession of folds on the opposite side. In Buddhist cosmology, the thirty-three most powerful gods of Hinduism and Buddhism live on the highest peak of Mt. Meru. Mythical creatures inhabit the Himavanta Forest that grows on the lower slopes of Mount Meru. When these powerful beings enter the world of man, they are usually benevolent, if treated properly. These creatures include the Chinthe, a leonine creature with flaming mane and body, who is a guardian of Buddhism, and today is the national symbol of Burma. Chinthes are ubiquitous in Burmese art and often appear in pairs as guardians on either side of the entrance to a Buddhist temple or stupa. Another composite creature type that combines human with avian characteristics is the Kinnara (male) or Kinnari (female) who appear frequently in adoring pairs and are considered the “love birds” of the Himavanta Forest. It is these creatures that are used to adorn the walls of temples as well as the pulleys that are attached to Burmese looms, which are frequently operated by unmarried girls whose thoughts, when not on weaving, often turn to thoughts of love and their future family. Excellence in weaving is considered a desirable characteristic to attract a husband. Stone and metal images in Burma most often depict the Buddha seated with legs crossed on a stylized lotus throne with both soles of the feet visible (= padmasana). The right hand, palm inward, points downward across the middle shin and the left hand, palm upward, rests in the lap (bhumisparsa mudra). Depictions of the Buddha in this position first begin to predominate during the Pagan Period, a trend that has continued to the present day. There are, however, a few images that show the Buddha in other body positions - as dictated by the event being depicted - such a standing, walking or lying down. These body positions are most frequently used when depicting the Eight Great Events of the Buddha’s life or the events of the Seven Weeks after Enlightenment, in which there was a particular interest during the Pagan Period. The convention used at Pagan to indicate walking is of interest because it does not show the body or feet in motion (as later, in Thai art). Instead, body movement is shown by having the Buddha’s robe swing asymmetrically to one side or by placing one of the Buddha’s feet at a slightly higher elevation than the other. There are at least two styles of sculpture that date to the Pagan Period. One style best evidenced by the early stone images found in Mon temples is derived from the Pala style of Bihar and Bengal of the 8th to 10thcenturies. This style juxtaposes the bold, smoothly modeled forms of the human body against precisely detailed ornamentation – often of a throne backing. The body is full and plump without any indication of the muscle groupings or bones within the body. The shoulders are broad and round while tapering to a relatively narrow waist. In standing images the thighs appear as effeminately full and round, a visual expression of the canonical dictate that the Buddha should have thighs that resemble the buds of a lotus flower. The head has sharply defined features and may be triangular to oval with a pointed chin and flat cranium. The hair is represented by small, snail shell curls. The cranial protuberance or usnisha , sits well back on the head, is relatively small and may terminate in a small flame-like finial. The eyes are half closed and look downward (rather than directly at the worshiper, as is frequently the case with Buddha images in Thailand). The long, aquiline nose is almost continuous with the broadly arched eyebrows. The mouth is small and pursed, with the upper lip often slightly protruding. The ears are long, do not touch the shoulders, and appear concave when viewed frontally. The neck is of normal length and often has three semi-circular lines or wrinkles considered to be beauty marks. The fingers are of normal length. The monastic robes, consisting of two parts, clings to the body and is almost invisible except for the hems that are lightly incised across the chest and are more boldly indicated around the wrists and shins. A third robe, folded into a rectangle and draped across the shoulder terminates, in fish tail folds. This Pala style image is generally replaced by the middle of the Pagan Period by a Burmese Style of image, and is revived in later periods only when there is a conscious desire to imitate the classic age of Pagan. The second style is evidenced at Pagan by number of seated Buddha images that typically have a more corpulent body, a head that is tilted forward with a short-to-non-existent neck, long earlobes that may touch the shoulders, and fingers of uniform length. This style becomes part of the mainstream of Burmese art and examples frequently occur during later periods. Among the objects unearthed among the temples at Pagan are three elegant bronze lotus buds held upright on elaborately decorative stems. The eight petals of each open outward to reveal a seated Buddha, a stupa or a shikhakra temple at its center. On the inside of each petal is depicted one of the Eight Great Events in Buddha’s life. Similar lotuses have been found in Nepal and Tibet and all were probably used ritually on a temple altar. The finest caving that has survived from the Pagan Period is found on a series of over forty-seven miniature stone plaques that are carved from a fine-grained steatite (andagu – Burmese). These carvings most often represent the Eight Great Events of the Buddha’s life with the Enlightenment being placed in the center. A particularly Burmese sub-set of these plaques includes in an inner band of small images representing the events of the Seven Weeks after Enlightenment. At times, the central Buddha image is shown wearing a crown. Stone plaque showing Eight Great Events in outer arc of figures and Seven Weeks after Enlightenment on either side of the central image. Detail from stone plaque showing Eight Great Events in outer arcof figures and Seven Weeks after Enlightenment on either side of major image. Detail from stone plaque showing Eight Great Events along outter edge and Seven weeks adjacent to central image. A wooden image depicting the Buddha’s decent from Tavatimsa Heaven, where he had gone to preach the Four Noble Truths to his mother, is remarkable for a number of reasons: the subject is not often presented as an independent image, it is one of the few wooden sculptures to have survived until today, and it is well composed and sensitively modeled. Unusually, The Buddha is shown standing in the elegant thrice-bent stance of tribhanga. Sections of the jeweled tripartite ladder can be seen above his shoulder and behind his feet. The two Hindu gods that accompany him are: Brahma with three of his four heads visible holding an umbrella over the Buddha’s head while Vishnu carries the Buddha’s alms bowl. The small figure seen kneeling at the Buddha’s feet may represent King Udayana who, according to some versions of The Descent, had a sandalwood likeness of the Buddha created when he left this world for Tavatimsa Heaven. King Udayana brought the image with him when he came to receive the Buddha at his descent, an indication that the Buddha had not been forgotten during his absence. If this account is true, King Udayana would have been responsible for creating the first image of the Buddha. (Images of the Buddha were not produced in abundance until the 1st century AD.) Unfortunately, the hands and anything they may have held is now missing from this sculpture. The most numerous and, perhaps, the most intimate objects from the Pagan period are the clay votive tablets that were stamped out and signed by many kings and nobles. The creation of these tablets, each displaying at least one image of the Buddha and some including over 100 images, was thought to produce good merit for its maker. The incentive for their creation is not in doubt, like so much concerning the Pagan Period, because many donors wrote and signed their intentions on the back of the tablet. King Anawratha’s tablets state that “This Buddha was made, with his own hands, by Sri Maharaja Aniruddhadeva, with the object of emancipation [i.e. gaining Nirvanna]”. Anawratha’s tablets had his tablets inserted into religious foundations throughout his kingdom. The face of the tablet often displays a Buddha in bhumisparsa mudra seated within a temple that is similar to the one constructed at Bodhgaya, India, where the Buddha achieved enlightenment. Two lines of Sanskrit in North Indian characters of the 10th to 11th centuries is often imprinted below the Buddha images. This is a statement of the Buddhist creed in its most compressed and basic form: “The Buddha hath the causes told, Of all things springing from causes, And also how things cease to be, Tis this the Mighty Monk proclaims”. Although the use of votive tablets at Pagan continued a tradition that originated in India and some tablets found in the two countries are identical, it is clear that votive plaques were created at Pagan because bronze and clay molds have been discovered there. Also, the Pagan donors signed many of the plaques in script. 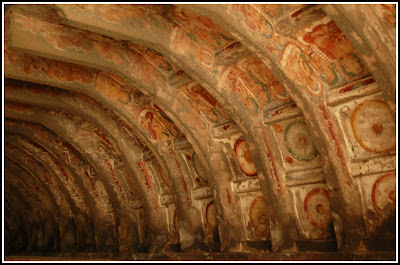 The interior decoration of Pagan temples consisted almost entirely of wall paintings that covered the ceiling vaults as well as all of the interior walls. Painted designs were fitted into a framework of architectural moldings that could be executed three-dimensionally in stucco or two-dimensionally in trompe l’oeil painting. More than 387 Pagan Period temples preserve some trace of their once colorful interiors. The walls were first prepared with several coatings of fine mud or stucco that were let thoroughly dry before receiving the multi-colored hues produced from natural colorants. Scenes were created from preliminary drawings whereas stencils were probably used for motifs that were repeated. The program of paintings within a temple usually included a Bodhi tree realistically painted above the brick and stucco image of the Buddha that served to frame and emphasize this central feature. 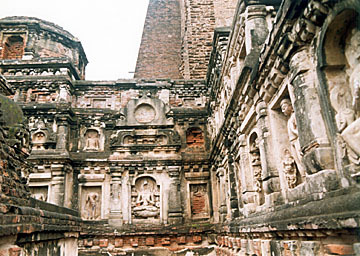 On the wall on either side of the three-dimensional Buddha image were painted images of the Buddha’s attendants and disciples, often Mogallana and Sariputta. A frieze encircling the remaining three walls of the major shrine might be composed of large tear-shaped Bodhi leaves or kirtthimukha masks. Below this often appear images of the Twenty-eight Buddhas of the Past, while lower down are painted scenes of the Buddhas life, usually the Eight Great Events. Elsewhere within the temple, often on the walls of the entrance hall, appear small squares each representing one of the 550 former lives of the Buddha referred to as Jataka Tales. Below each square the chapter number and name of each Jataka was written in Mon or Old Burmese so that each scene is easily identified. The decorative programs in a few temples include scenes from the history of Buddhism, the Buddha’s footprints and horoscope, or a Buddhist cosmological map. The ceiling vaults were most often covered with small, identical, endlessly repeated motifs of small seated Buddhas, a motif known as The Thousand Buddhas. Paintings on cloth from the Pagan Period were unknown until in 1984 when a fragment was found wrapped around the arm of a stucco figure in temple number 315. Eventually, with expert restoration, some 30 fragments have been identified as belonging to the same painting that depicts a Jataka tale in long horizontal registers that include captions. 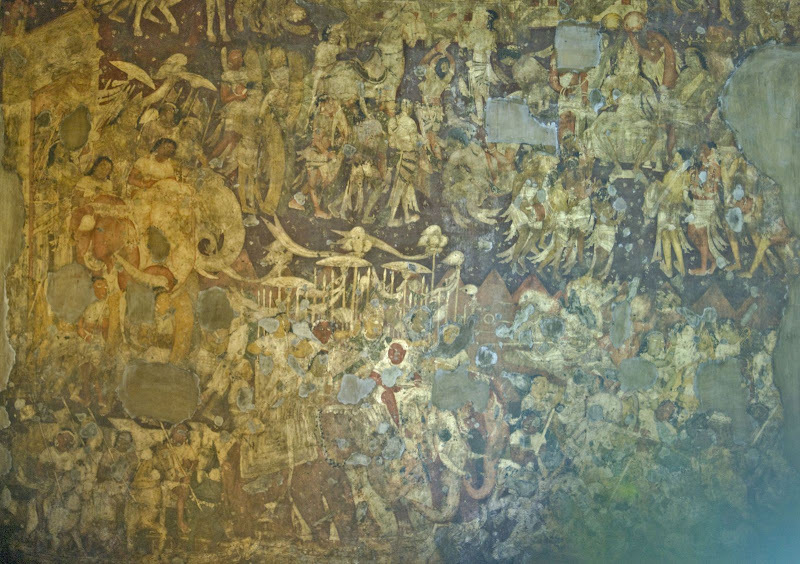 The style of painting is exactly the same as the wall paintings found in the Lokateikpan and the Myinkaba-Kubyaukgyi and therefore can be dated to around 1113 AD. Thus, this is the earliest known narrative scroll in the Pala style in existence. All Pala style paintings in India have disappeared due to the more demanding climate. The style of wall paintings at Pagan was derived from the Pala style first developed in India. A major characteristic of this style is the outlining of all forms with a black or red line and the absence of shading and modeling when coloring the enclosed areas. The broad art historical significance of the Pagan Period is that Burmese forms in art and architecture were invented and broadly articulated that were often copied in later periods. Iit is these forms that have continued as “classic forms” until today. Great wealth was spent during the Pagan Period not only on the construction of so many religious foundations but also in providing for their perpetual upkeep. The considerable lands as well human laborers donated to the temples and monasteries escaped in perpetuity royal taxation so as the temples prospered, the state was progressively deprived of its tax base. By the end of the 13th century, this process seriously undermined the economy so that when the Mongols threatened to invade from the North, the king could not mount an effective response and the kingdom shortly thereafter broke apart into smaller polities.